I recently came across a timeline of religious life on VocationNetwork.org and found it fascinating to notice the variety of religious life that developed from the first lay communities of St. Paul in A.D. 50 up to the present. Then, as now, each new form grew out of a cultural, gender-specific context and needs of the time. Each reflected a uniqueness of charism, yet all were alike in the desire to seek and experience the mysteries of God, and all seem to exist today in various configurations. 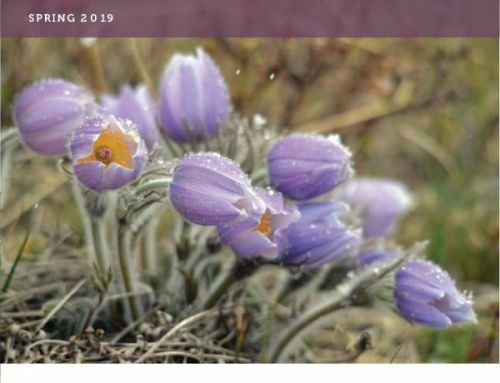 The seeking continues, and the numbers of congregations founded after the Second Vatican Council reflect this desire, although sometimes, the number may seem excessive. The proliferation suggests to me that each newly founded group is very much embedded in the local culture, seeking to address particular issues and needs of God’s people, just as those founded hundreds of years ago. They also tend to follow the major categories of religious life: apostolic, monastic, combinations of these two, mendicant, secular institutes and consecrated virgins, all living and ministering alongside groups with stories that are centuries old. As I meet various groups, I am always curious about the stories of their founding and why, with so many options of those long-ago founded groups, women choose to start something new. Then, I am reminded, “You did not choose me. No, I chose you!” The Holy Spirit is limitless in imagination, uniqueness and time. All the same, there is need for discernment, and the church wisely waits until a particular group can prove itself somewhat spiritually and economically sustainable before it is recognized as a true charism. Starting something new is challenging. Stories reveal most new groups suffered mightily in their beginnings, but with the help of God’s spirit, they persevered and thrived. Others, particularly in the developing world, report the struggles of poverty and alienation while discerning and articulating the special gift of the Spirit. All demand intense courage and deep belief in the call. These qualities are not always easy to find for youth who are seeking a way out of poverty and disadvantage. Thus, most new groups do not focus on large numbers, realizing that even though there are still new vocations, numbers are declining, even in the Global South. They report that economic factors, family issues and church issues are some of the reasons for the decline. They seek only what is needed to carry out the mission given them. Perhaps small groups rooted in local areas of need is the new vision for religious life. In Cameroon in January, at the gathering of the Confederation of Conferences of Major Superiors of Africa and Madagascar(COMSAM), I met an international group of sisters new to me, Apostolic Sisters of St. John. 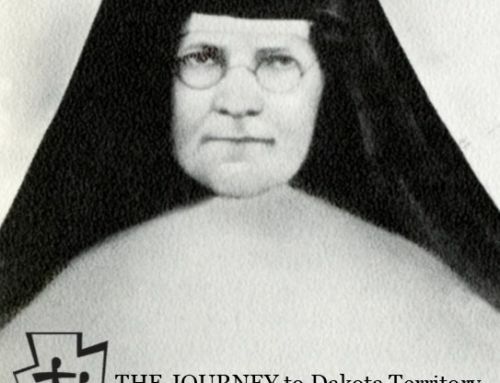 The sisters are one part of the Community of St. John, founded in 1975 by a Dominican priest, Fr. Marie Dominique Philippe, in Fribourg, Switzerland. “From our beginning, the characteristics of the Community appear quite distinctly: insistence on the search for the truth through philosophical and theological work; a life consecrated to God, emphasizing silent prayer in community and the Eucharist; the importance of communal life in intense fraternal charity,” the community’s website states. Young women were attracted to the contemplative fraternal life they witnessed among the brothers, and a female contemplative branch of sisters started in 1982. Other women who felt an added call to external ministry became the Apostolic Sisters of St. John in 1984, becoming an institute of diocesan rite in Burgundy, France, in 1993. Today, the family also includes lay oblates. This form of religious life, in which men and women belong to the same community, has been more prevalent since Vatican II, although there were such groups early on, such as the St. Vincent de Paul family. Sister Maria Elizabeth, who attended the COMSAM conference, and Sister Theresia Maria, both Apostolic Sisters of St. John, shared the sisters’ story with me. A unique part of the charism is the articulation of their vowed commitments. Members of all branches live the spirit of poverty, virginity and obedience rooted in three covenants revealed to them in the Gospel of St. John: covenant with Jesus, covenant with Mary, and covenant with Peter in the person of the Holy Father. Each covenant engages the particular branch in a unique way. For example, the Community of St. John’s covenant with Jesus in the Eucharist invites them to long hours of silent adoration, liturgical prayer and apostolic service. Their monastic life includes chanting the Divine Office and celebrating daily Eucharist. The covenant with Mary invites them to a common life of fraternal charity because it is Mary received as a mother who brings about this unity between all her children. The covenant with Peter invites them to filial obedience to the pope as successor of Peter and to bishops. The 200 apostolic sisters follow this semi-contemplative life in 10 countries: France, Germany, Lithuania, Italy, the United States, Mexico, Philippines, Cameroon, Togo and Guinea. When bishops invite the sisters to their dioceses, decisions to accept are based on the bishops’ understanding and acceptance that monastic presence is the sisters’ primary ministry, and other ministries — religious education of children, youth, young adults, adults, family ministry and spiritual accompaniment — are secondary. 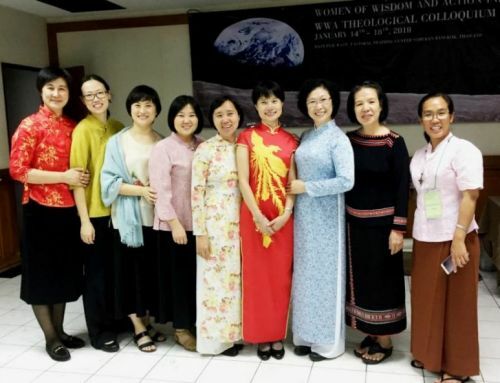 Sisters’ education and training focus on theology and philosophy rather than on secular professional training, although some women enter with professional degrees. Religious formation for the Apostolic Sisters of St. John follows a traditional process with a few adaptations determined by the cultures of the group and country: candidacy, postulancy, novitiate, temporary vows and, finally, perpetual profession. Sisters and brothers of the order ordinarily teach the philosophy and theology classes, along with a few outsiders invited for particular topics. 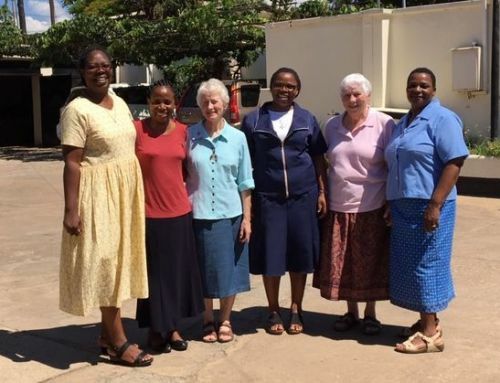 Novitiates are located in France, Cameroon, Philippines and the United States, and after final profession, the sisters are either missioned back to their own countries or to other countries. 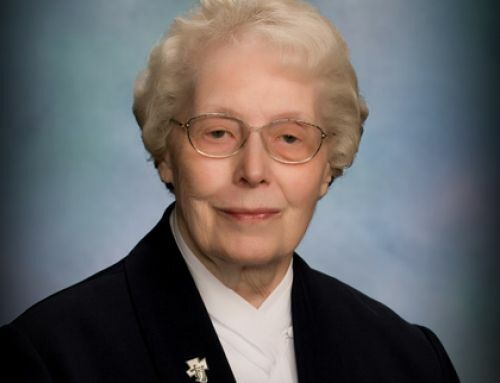 When asked what challenges she sees for the future of this relatively new congregation, Sister Theresia Maria’s answer was one common to any newly founded group: “handing on the charism.” The loss of Philippe, the founder of the Community of St. John, in 2006 was a kind of passage to maturity. From my own experience of listening to other new communities, I know the group needs to find its own identity without that familiar guidance and its own way of following the Spirit’s leading in each new context of time and culture. Which brings to mind another challenge: the impact of a small number of sisters spread across 10 countries, with vocations from each of them. Intercultural living in quite small communities of mission will be an important part of their communal commitment and witness. This is an experience neither Jesus nor Mary had to the same degree.